Burgundy and Gold Wedding Inspiration And Ideas. Looking for inspiration for your fabulous burgundy wine and gold themed wedding? Look no further! 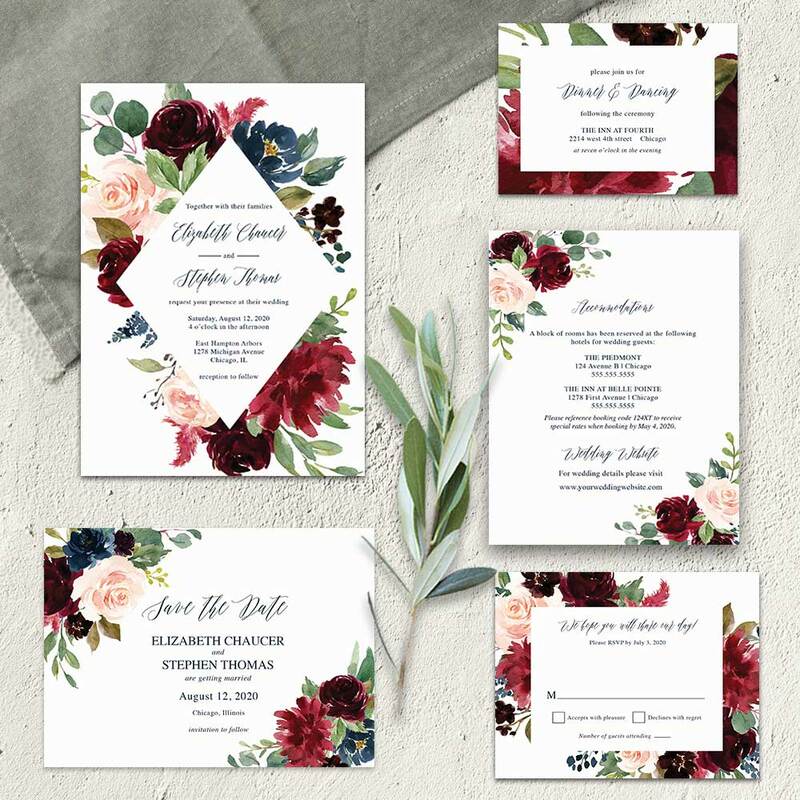 We are in love with this color combination- its an official gorgeous win! 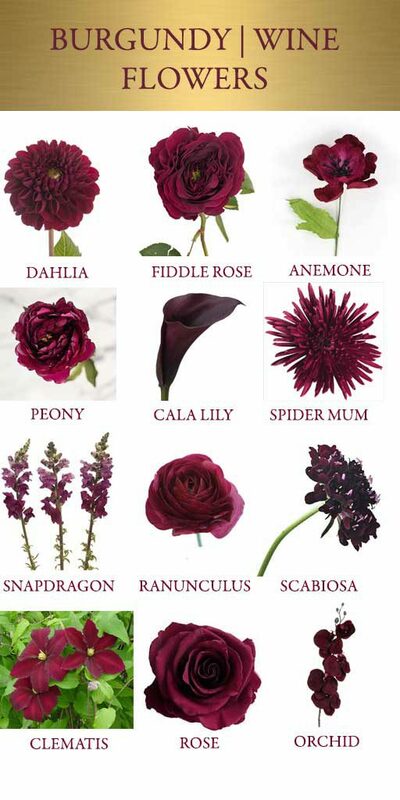 Call it cranberry, burgundy, wine or mulberry, this rich color sits between red and violet on the color wheel. This means, the color combines the physical energy and grounding of red with the intuition and imagination of violet. Indeed, these are foundations of any marriage so that connection is strong. 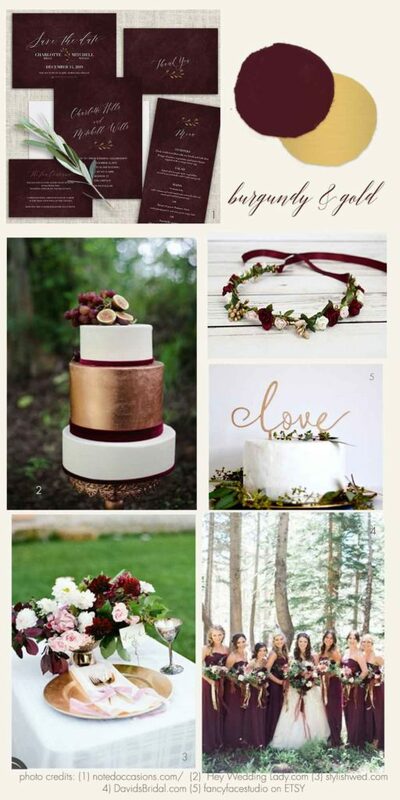 Gold, on the other hand, represents illumination, magic and wisdom- and is believed to illuminate the path towards your goal- which is true love that lasts forever.So today we offer this Wedding board highlighting Burgundy and Gold Wedding Inspiration And Ideas and how you can use them for your 2017 Wedding. 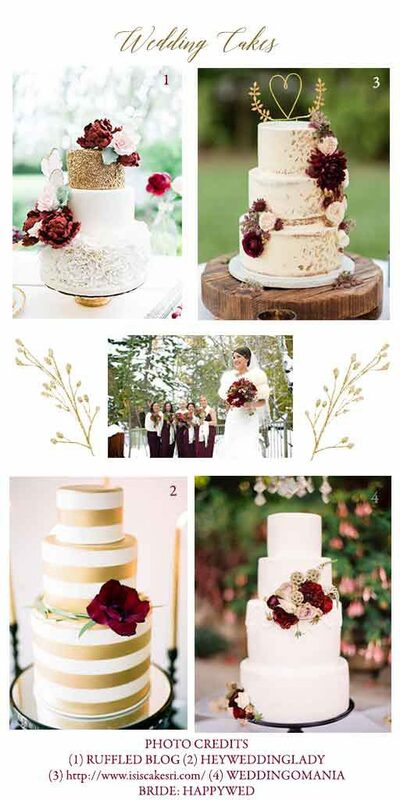 We’ve collected some ideas for using burgundy wedding flowers, burgundy wedding dresses for your bridesmaids and burgundy – and finally, gold wedding cakes. All great Burgundy and Gold Wedding Inspiration And Ideas for your summer, fall or winter wedding. AND NOW FOR THE BRIDESMAIDS!!!! 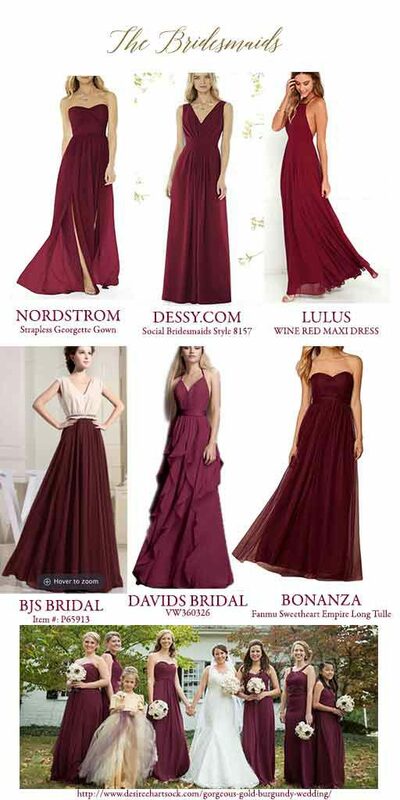 There are so many burgundy wedding dress options for your bridesmaids, its simply impossible to pick our fave!